Rachel and Jim's Wedding Day Teaser from Audio Video Art - 615-783-1536 on Vimeo. 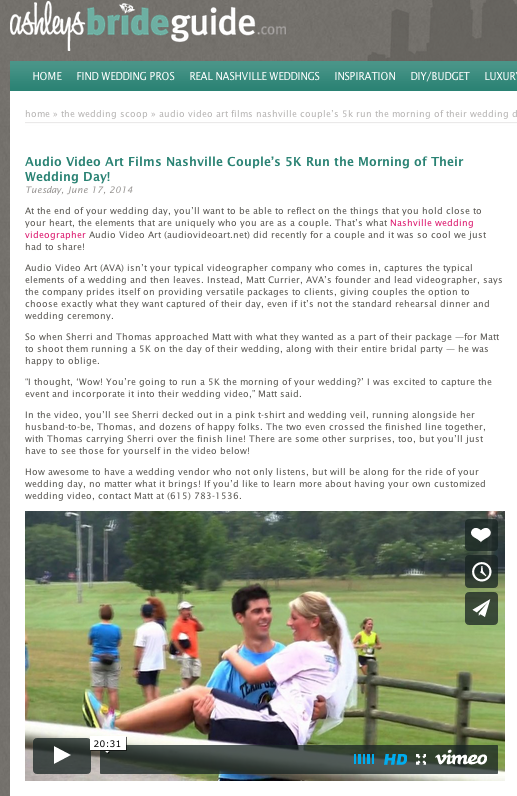 Katy and Chris's Wedding Day Teaser from Audio Video Art - 615-783-1536 on Vimeo. Alexandria and Kevin's Wedding Day Teaser from Audio Video Art - 615-783-1536 on Vimeo.